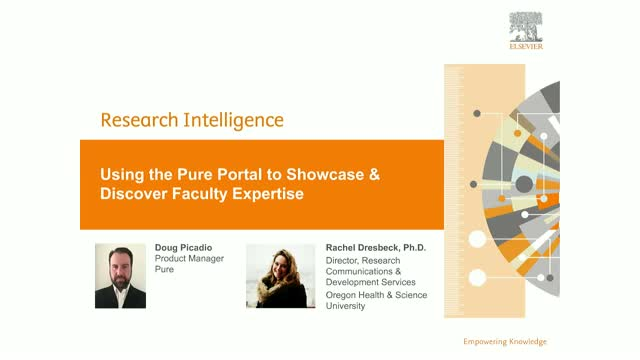 Elsevier’s Pure gives your faculty and their research global exposure through the Pure Portal. The Portal hosts searchable, open web profiles that make it easy for industry representatives and researchers from other institutions to quickly locate and connect with potential collaborators among your faculty. Join us on September 7th to learn more about the Pure Portal, including practical examples of how Oregon Health & Science University uses it to promote their faculty's expertise on a global scale.